Make a sandwich or enjoy your morning eggs with a little doggie decoration. 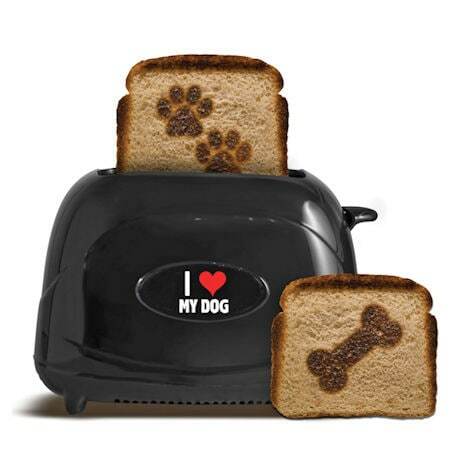 Choose from one of 13 breeds with the dog breed toaster, and every piece of bread pops up with a silhouette of your pup, or choose the cute pawprint toaster. Both have all the essential functions: frozen/reheat/cancel, heat settings and a pop-up handle. Plastic. UL listed. 15"h. No rush delivery or gift box. Item can only be shipped within the Continental US.